Longlisted for the International Prize for Arabic Fiction 2016. Forthcoming in English (tr. Jonathan Wright) from Yale University Press in 2019. Translated into Spanish by Mari Luz Comendador and published by Turner Libros as Fragmentos de Bagdad (2014). Translated to English by Maia Tabet and published by Hoopoe Fiction as The Baghdad Eucharist (2017). You can read an excerpt in English here and an essay about its characters and their fate in light of recent events in Iraq here. (Yale University Press, 2013) Translated from the Arabic Wahdaha Shajarat al-Rumman (Dar al-Jamal, 2012) by the author. Trnslations to French (Actes Sud), Polish, and Malayalam forthcoming. 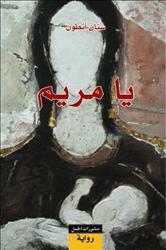 Translated from the Arabic (al-Adab, 2003, al-Jamal, 2012) by Rebecca Johnson and Sinan Antoon. Translations in German (Linos), Italian (Feltrinelli), Norwegian (LSP), Portuguese (Globo). An inventory of the General Security headquarters in central Baghdad reveals an obscure manuscript. Written by a young man in detention, the prose moves from prison life, to adolescent memories, to frightening hallucinations, and what emerges is a portrait of life in Saddam's Iraq. In the tradition of Kafka's The Trial, or Orwell's 1984, I'jaam offers an insight into life under an oppressive political regime and how that oppression works. This is a stunning debut by a major young Iraqi writer-in-exile.